We used to receive this information only through metaphysical sources that referred to concepts contained in "as a man thinks", or "what you see you shall become" (Gospel of Philip), whether they pointed us to the Gnostic Gospels (admirably discussed by religious historian Elaine Pagels), or James Allen and his now (thanks to movies such as What The Bleep Do We Know? or The Secret) ultra-famous book As A Man Thinketh (easily - and legally - available as a free download ... contact me). Thoughts do change our bodies. Now we receive this information from cellular and molecular biologists, from Ph.D.'s in keynote addresses at psychology symposia in hallowed Ivy League halls, from DNA experimentation by the American military, from international neuroscientists, from a Japanese scientist who studies water crystals, and from a plethora of others. Candace Pert, molecular biologist, wrote The Molecules of Emotion, in which she pioneered the body-mind concept. 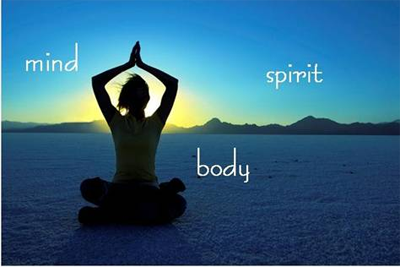 (Her work of over several decades is based on how the bodymind functions as a single psychosomatic network of information molecules which control our health and physiology. She also offers an excellent CD titled Your Body is Your Subconscious Mind.) Do you remember how laughable many thought this was only in the 80's? How far we have come in accepting PNI (psycho-neuro-immunology), the study of the interaction between psychological processes and the nervous and immune systems of the human body, which has led us to understand, among others, the connection between stress - thoughts - and the potential future appearance of cancer in the body! This concept is precisely what I heard at Harvard in 2003, while listening to a keynote address at a conference about developmental psychology. Dr. Elaine Bearer stated that it was now (nearly 5 years ago) possible to demonstrate that everything we think, feel, and do has the capacity to change our DNA. Think of the implications of this…and think, therefore, how important it is to develop the capacity to choose what we think, feel, and do. To know that we always have a choice. And that in making this choice – from among all possible alternatives – we literally contribute to our well-being (or not) on all levels: physically, psychologically, emotionally, and spiritually. Also see this great article about Masaru Emoto by Life Enthusiast, or watch this video showing crystals affected by thoughts and words, or watch this video of an interview with Dr. Emoto. Introducing Our Second and Third Brain: We Do Think With Our Heart and Instinct! Aging Brains That Step Up to the Plate and Stay Sharp! So we know that thoughts change our bodies - we may have known for a long time, and now we have proof (which for many is a determinant), so what is keeping you from doing something about it? Your thoughts - which you can get a handle on with a certain amount of dexterity and ease by gauging your feelings (see also The Energy Barometer: Make Your Mind Body Connection Work For You), and consistently moving yourself to higher levels of energetic frequency, can impact on the quality of your physical, emotional, and spiritual health to a degree of such magnitude that you simply can't ignore this information. For more information about how thoughts change our body, and in so doing, affect our mind and spirit, and for more about love and loving the self and self-transformation, have a look at my book Rewiring the Soul: Finding the Possible Self, available in paperback and e-book for Kindle format. Click here to download the first chapter. 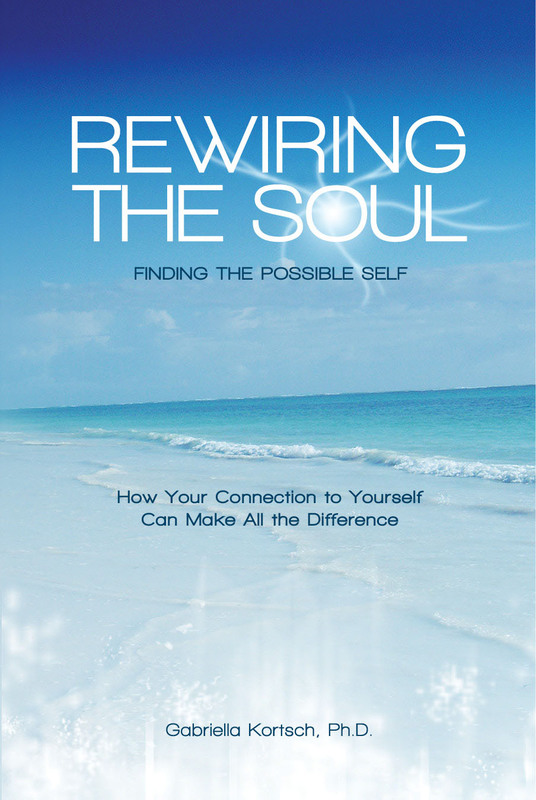 In Rewiring the Soul, Gabriella Kortsch shows us in very practical ways how to lead a soul-guided, soul-infused life. With the wisdom of one who has traveled far and learned much, Dr. Kortsch blazes a path for all who have the courage to follow. The rewards for walking that path are great: an understanding of why we are here; an expanded awareness of who we really are; a new or heightened sense of purpose and meaning; and a deeper appreciation of life's many blessings. Highly recommended.